If you are a subscriber or regular reader of this blog you know that Texthelp has been busy lately releasing several new updates and products for Google Apps for Education users. 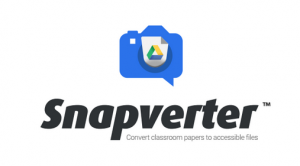 This innovation continues today with the launch of Snapverter, an add-on to Read&Write for Google that scans and converts inaccessible text such as images, locked PDFs, and Daisy files into accessible formats in Google Drive. Snapverter is the first of its kind to be specifically designed for Google Apps users. It integrates seamlessly into Google Drive and provides teachers and accessible media specialists a simple way to convert inaccessible text to accessible files (PDF or EPUB) and share them with students. The video below provides a quick overview of how Snapverter works. Installing Snapverter is easy, and once installed, it places a “Snapverter” folder under My Drive in the users Google Drive account. Inside this folder are additional folders used to convert files. To convert a file, users simply drop an inaccessible file into the “drop files here to convert” folder. In minutes, the file will be available in the “Finished” folder. Files can then be shared with students or groups of students as with any other file in Google Drive. Users can also use their iOS or Android device to snap a picture of documents or worksheets using the app. As before, the image can then be placed in the “drop files here to convert” folder to be converted into an accessible file type. Inaccessible PDFs and image files will be converted to accessible PDF files while Daisy files will be converted to EPUBs. Once converted, both file types can be opened with Read&Write for Google. Students can then take advantage of text-to-speech, annotation and highlighting supports, and more. Snapverter is currently only available for purchase to customers who have a domain-wide subscription of Read&Write for Google. Group purchase options are expected to be available later this year. Anyone can try Snapverter for free by installing it from the Chrome Web Store. 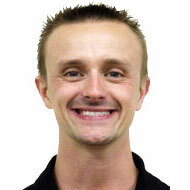 Users receive 10 free scans followed by 1 additional scan per week. So what are you waiting for? If you are a Google Apps user, be sure to give Snapverter a try today.